In this era of enhanced interconnectivity, reputation management and PR go hand in hand. Defined as the management of relationships between an organisation and the constituencies on which it depends, there is no doubt that relationship management has become a pivotal facet of any successful business. Today, the digital age has fundamentally changed the way businesses need to approach marketing communications, and this includes public relations. PR now goes hand in hand with digital marketing, as well as other more traditional approaches to the industry. 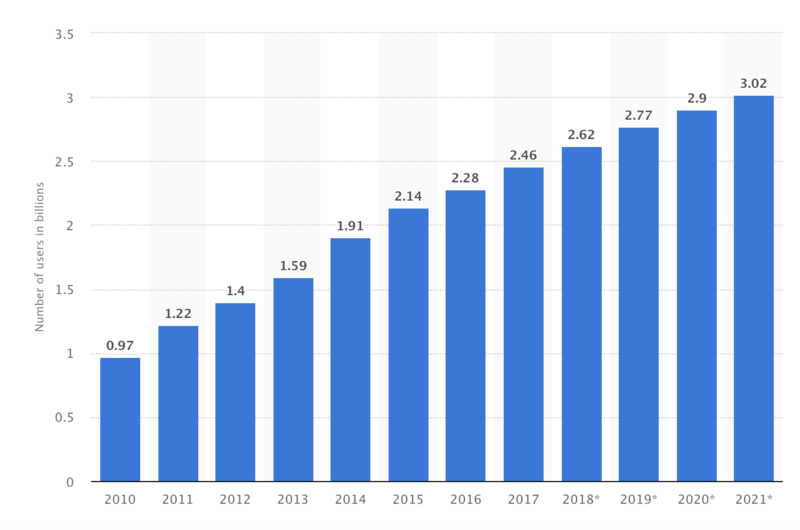 With almost three billion people active on social media channels, news spreads at a rapid rate, and companies have had to adapt fast to ensure that any damaging content towards their brand is managed as swiftly as possible. 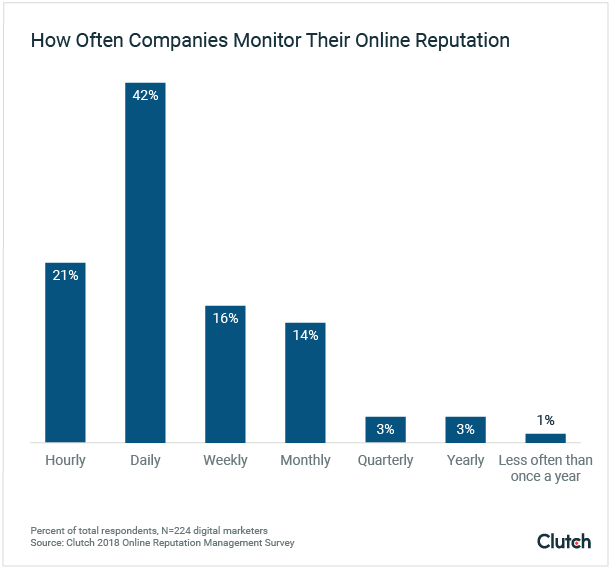 The importance of regular reputation management is highlighted by the above Clutch survey, which highlighted that many companies monitor their online reputation every day – over one-fifth of those surveyed revealed that they check social channels each hour to ensure that they’re on top of any developing stories. Notable cases of reputation management are typically found when businesses fail to react appropriately to breaking stories surrounding them. When United Airlines issued a repugnant response to the recording of a passenger being forcefully removed from their flight, shares in its parent company, United Continental Holdings dropped by $1 billion. Social media has grown to become an untameable beast. While the public relations masters of yesteryear could efficiently spin stories in the press, today a single act of gross negligence can gain millions of views in minutes – causing a business to undergo a trial by Twitter, or Instagram.